I was sad after My Snes9x crashed after about 10 hours of streaming a 24 Hour speed run today... 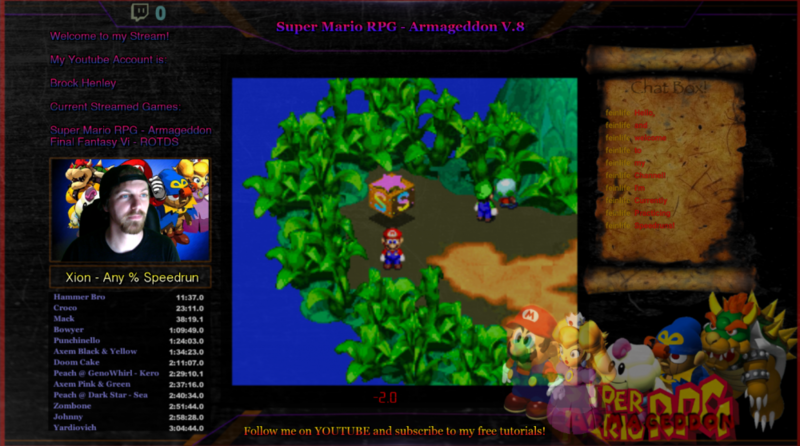 So I decided to create a custom Super Mario RPG armageddon Twitch Overlay Template. BE NICE because this was my first time ever messing with anything like this! 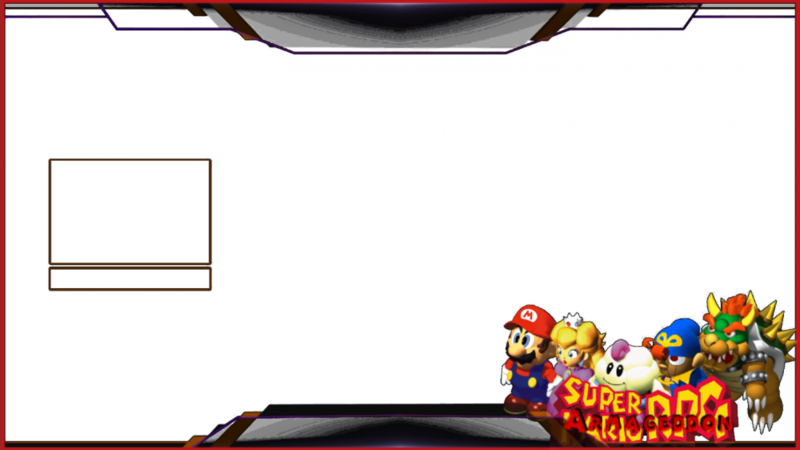 I plan on making more and I'd be honored if any of you fellow streamers used my template. 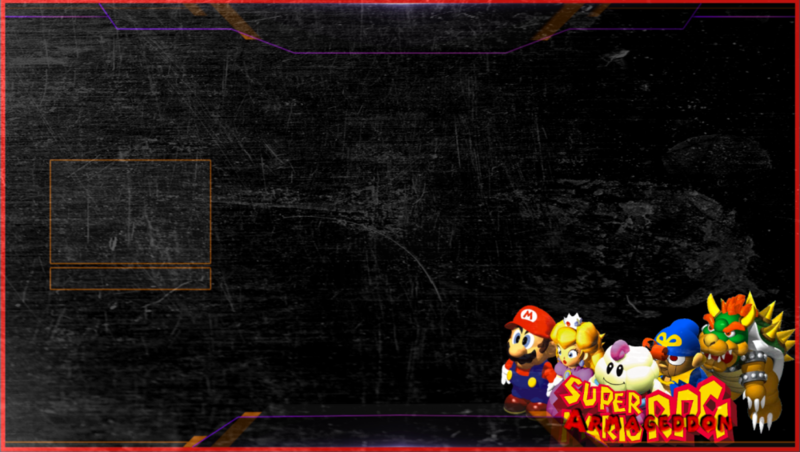 If you have ANY requests I would love to try and create you a custom Overlay! Ahh, that certainly explains why I woke up today well within the 24 hour period and your stream was no longer streaming. Sorry to hear that man! Nice template btw. I painstakingly created a white backgrounded version of the above template.. ENJOY AND PLEASE Use them! Yea buddy... I took my gf to work, came back and my SNES had crashed.. hahah. but it was for the best. My next run will be even more tuned! 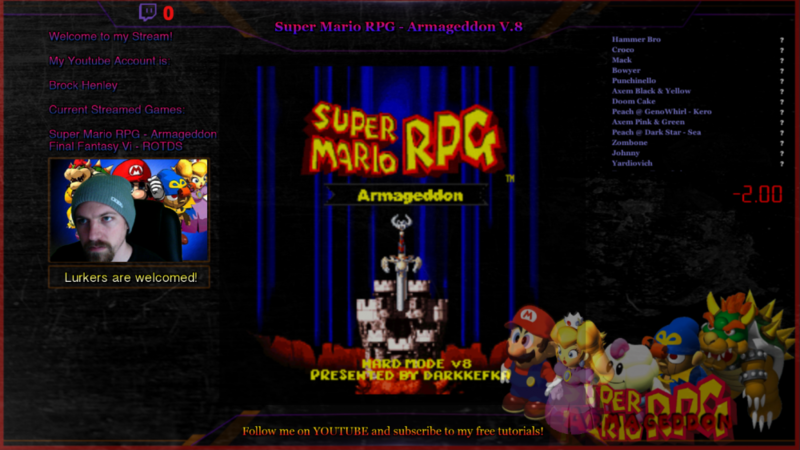 Wow you really like this hacked version of smrpg don't you? 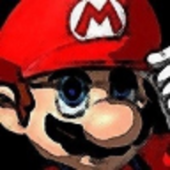 Maybe Darkkefka can bless your streams with his presence if he hasn't already. 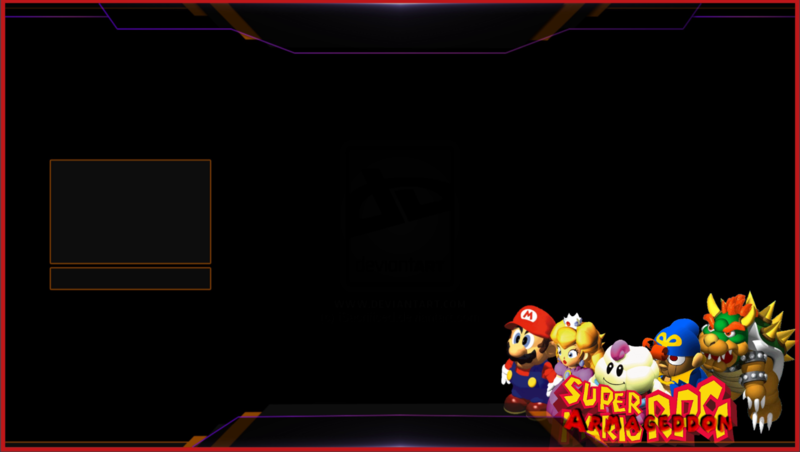 I have a variation of the template that shows how awesome it looks with a little customization that I'll post as soon as I can. I can also make custom boxes and move the face cam box as well. I wanted to make a speedrunning space for the timer etc.. but everyone's box is always different. And Llanfair, doesn't scroll (that's the only speedrun program for MAC). If you have 50 splits, then you have to show all 50..
Sry to hear that bro, don't let it get you down though. 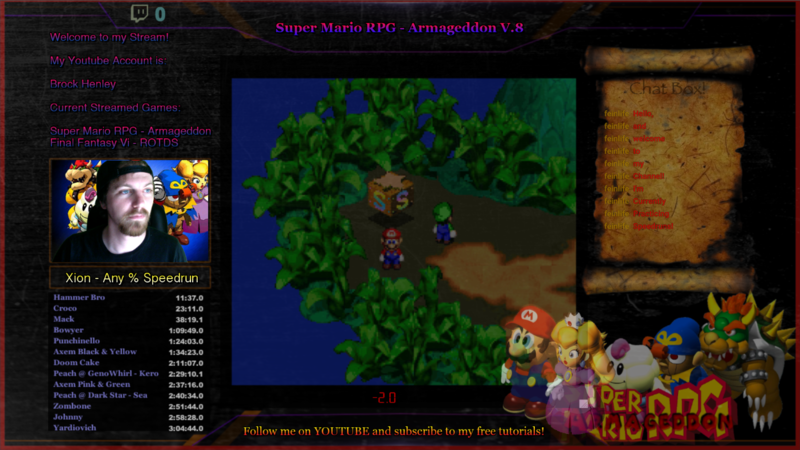 I had to Break my speed run timer into 3 sections and I disconnected the main timer from those 3 sections in order to make things look decent..
Couldn't think of what to put there haha ideas??? How about "Come hang out!" or something simple like that? Maybe this is my final setup? Not sure, but I love the flooded screen and symmetry.